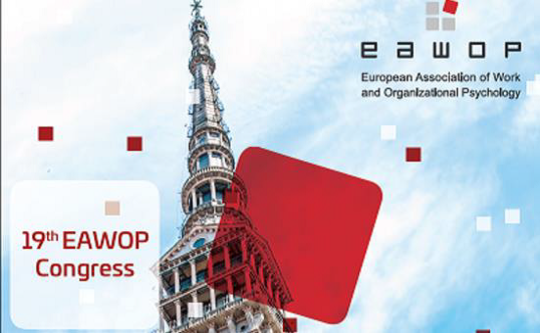 EAWOP’s mission is to promote and support the development of Work and Organizational Psychology (WOP) in Europe. One obvious way to do this is to get WOPs from across Europe together to explore mutual interest, and build collaborative networks. 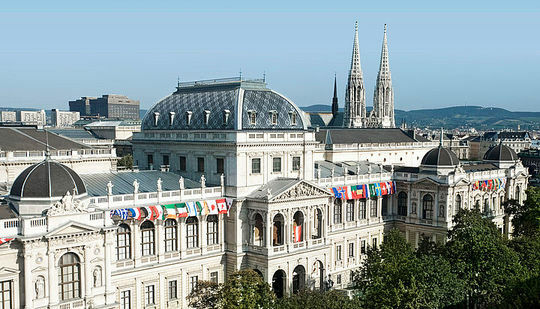 In addition to its successful biennial congress, EAWOP therefore stimulates, through start-up funding, Small Group Meetings (SGM)– small-scale research or practice-oriented conferences (for 20-25 participants) with an international group of delegates, and with the explicit aim to stimulate contact between EAWOP members and the development of cross-national collaborative networks within Europe. EAWOP members interested in organizing such a meeting are invited to submit a proposal for such a SGM to the EAWOP Executive Committee (EC) before the new deadline on October 19, 2018. Participants are from at least four different European countries; Participation of other countries outside Europe is welcomed. Even though the actual participation in the small group meeting is restricted to 20-25 people, the meeting should yield a product available free of charge to the EAWOP members. To this end, the European Journal of Work and Organizational Psychology invites organisers to submit a position paper for publication in EJWOP. Note that publication is not guaranteed however, EJWOP’s editor makes the decision about needed revision and ultimate publication. In addition to the position paper, EAWOP encourages organisers to discuss the possibility of publishing an EJWOP special issue based on the SGM’s theme with EJWOP’s editorial team. EAWOP offers a start-up budget up to 3,500 euro per meeting. This budget is intended for organisational costs. It is not meant to cover all costs – organisers are expected to actively seek additional funding. Moreover, it is explicitly meant for not-for-profit meetings only – funding is meant to keep costs to participating EAWOP members at a minimum (participation fees are always subject to EAWOP EC approval and in any situation cannot exceed the maximum of 100€ regular fee/50€ student fee). Please note that the SGM organisers will receive up to 1,500 Euros before the SGM and the remainder after the meeting (on the presentation of original invoices) following the requirements presented below. EAWOP funding is contingent on: (a) submission of a 3-4 page Executive Summary for publication on the EAWOP website; (b) submission of a short report about the event and the final account that should be delivered shortly after the event, in the maximum period of 6 months. The documents template will be given at the time of the SGM acceptance but are also available on the EAWOP Website. The submission of a position paper or a special issue to EJWOP within six months to one year after the meeting is strongly recommended. Moreover, in order to receive funding original invoices are required corresponding to the amount financed by EAWOP. These invoices should have EAWOP in the entity name. Additionally, for requesting the advance of the funding it is required the final program, list of participants and expenses short description/justification. Names of 10 EAWOP members from at least four different countries committed to participating in the meeting (NB: this is to assess the viability of the meeting; with the remainder of participant places being open to competition). The following criteria will be used for selecting the successful SGM proposals: a) theme relevance and novelty, b) themes that are timely and interesting, that have not yet been covered in previous SGMs; c) proposals that cover a wide scope of interest bearing in mind the diversity of EAWOP members (countries/academic and practitioner topics). Information about the previous SGM themes is available on http://www.eawop.org/reports. Priority for acceptance will be given to themes and topics which have not been supported recently in the SGM programme. 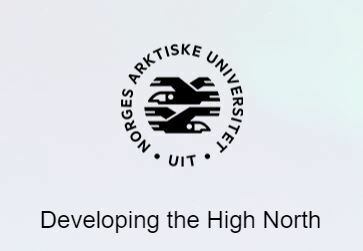 It is proposed to support up to five Small Group Meetings and proposals covering Cross-Cultural Research/Topics, practitioner-oriented meetings, refugee crisis research, are especially welcome. In addition, proposals covering policy issues, policy impact and involving policy makers are explicitly invited for submission. The EAWOP Task Force on Policy Impact has reserved funding for the organisation of a Small Group Meeting on policy issues. For what concerns the date of the proposed SGM, applicants should also mention if they have some date flexibility or not. The EC might ask some proponent the possibility to organise the SGM at a later time in order to avoid that two potential SGMs are held in the same period.